West Central Ag Services is your partner in farming. Local, innovative and customer-driven, we are committed to providing our patrons with the right services and continuing to create financial strength and growth for every grower in our cooperative. That’s our promise to our shareholders. 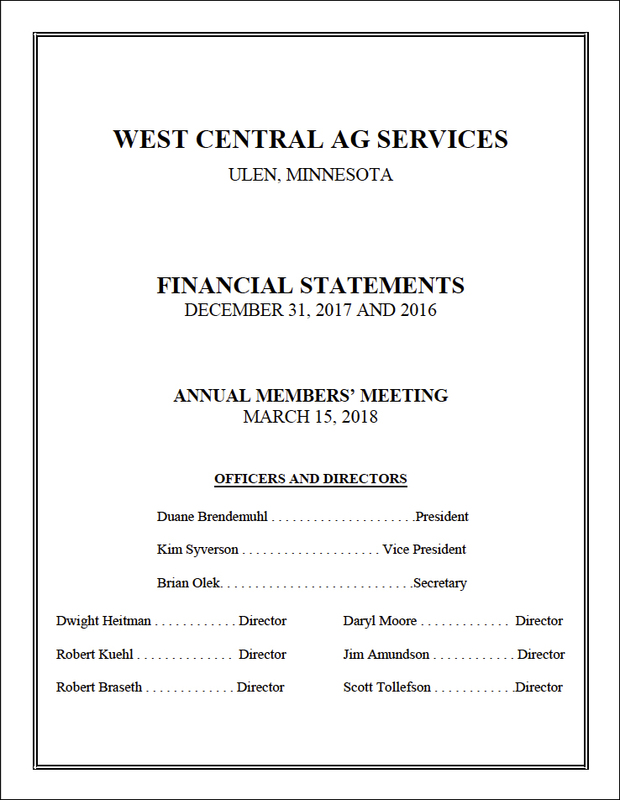 With the vision of forward thinking directors, West Central Ag Services was founded in 2000 as a cooperative effort between two successful cooperatives – Tri-County Coop (Ulen, MN) and Felton Farmers Coop Elevator (Felton, MN). Since this time, the landscape of West Central Ag Services has continued to improve so we can exceed the needs of our patrons. Today we currently serve approximately 2500 patrons with their grain and agronomic needs. Financial transparency is and always has been paramount at West Central Ag Services. Please click on the link below to review an independent audit of the past two years of our cooperative’s financial statements. Our annual members meeting takes place in mid-March; the link will be updated shortly thereafter to provide the financial report for the previous year. The West Central Ag Service Shop offers the following services. Give us a call at 218-596-8460 to make an appointment. Interested in opening an account with West Central Ag Services? The chart below specifies which forms we need you to complete and submit; click on the appropriate links to download the respective forms. If you have questions about any of these documents, please contact a member of our Finance Team. To review our credit terms, please click here. 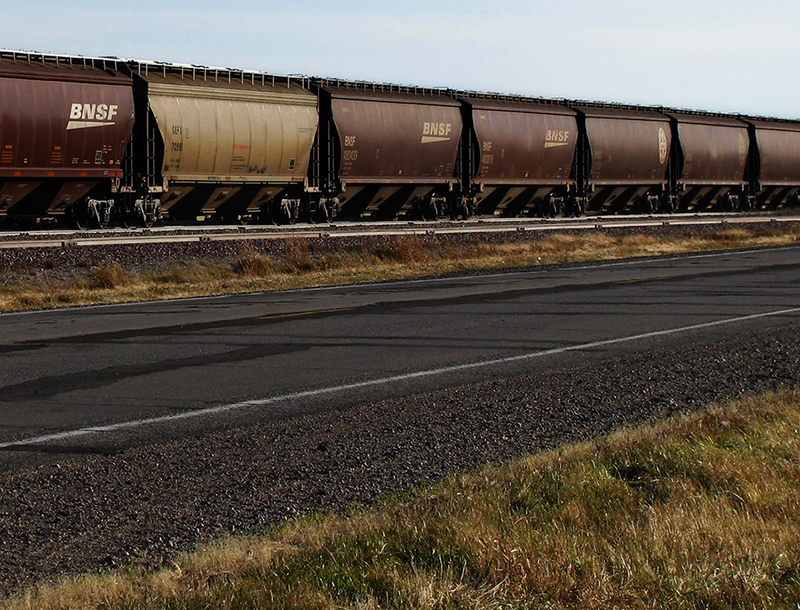 As a leading cooperative in northwestern Minnesota, we’re always looking to add quality people to the West Central Ag team. If you’re a hard worker who is ready to go the extra mile to provide our customers with the quality service and support that they deserve, we want to hear from you. Please take a look at our list of current job openings and consider joining our team. If we don’t have a position available right now, you’re still welcome to submit your resume and a completed application. We will keep it on file for one year and notify you if an opportunity aligns with your qualifications.